Take the B955 north from Kirriemuir and turn right for Cortachy after Prosen Bridge. Cortachy House B&B entrance is on the right (opposite Cortachy Primary School). There is a limited Travel Line Scotland Bus Service from Kirriemuir to Cortachy. For Reservations, please complete the online B&B Reservation Form. For more information, please complete the Enquiry Form below or Telephone (01575) 540229. 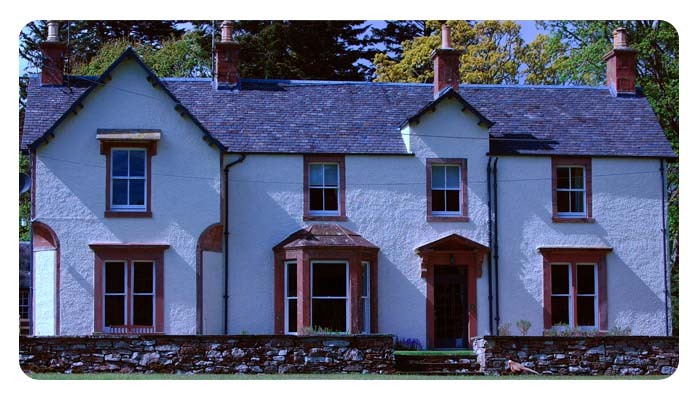 Cortachy House Bed and Breakfast was originally the Manse for the rebuilt church. The hamlet area is overlooked by The Airlie Monument which is situated on Tulloch Hill between Glen Prosen and Glen Clova and was built in 1901 as a memorial to the 9th Earl of Airlie who was killed during the Boer War.